1. 105 Slow Cooker Favorites from Cooking Light. I intend to let the slow cooker do a lot of my cooking for me while I adjust to life with Brecken, and I don't think I'll run out of options with this list. First up? Either Pork Carnitas or Vegetable Pot Pie with Parmesan Black Pepper Biscuits. 2. Let's talk Tervis Tumblers. I spent the last several months frustrated beyond belief over the cups I'd use to take my smoothies to work each morning. The caps never seemed to screw on right, pieces broke off whenever my clumsy self dropped them, and don't even get me started on the leaking. I've since discovered Tervis Tumblers (I got mine at Bed, Bath, and Beyond) and I'll never transport a smoothie in anything else. 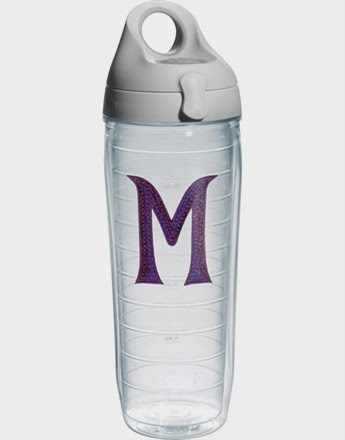 The one pictured above is the one I have (but with a pink M...they didn't have an N for Natalie so I went with M instead!) and I absolutely love it. It's secure, insulated, and unbreakable! These things are awesome (and can transport hot or cold beverages! )...definitely worth the $20! 3. I know Valentine's Day was yesterday, but how cute is this sweetheart ring? It's officially on my wish list! 4. Every year for the past four or five, I'm made my sister Julia a chocolate peanut butter dessert for her birthday (February 13th). This year, I didn't have to spend hours hunting for the perfect dessert. She made it easy and requested chocolate peanut butter ice cream. 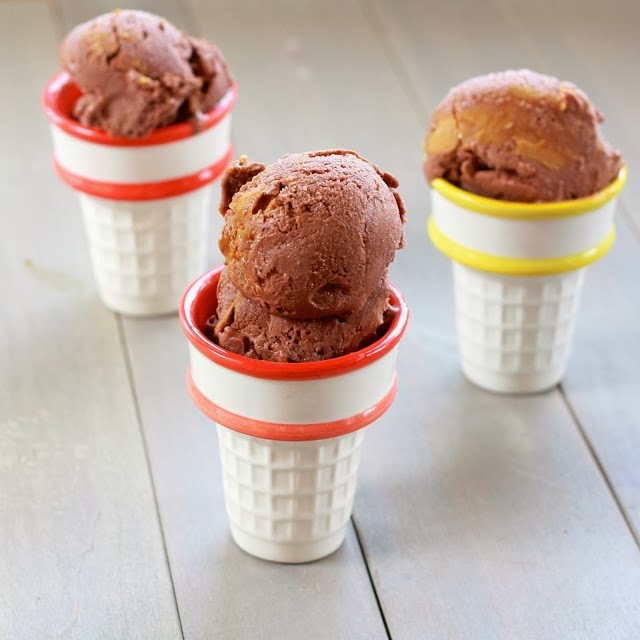 Needless to say, I was more than thrilled to make a batch of Chocolate Pudding Ice Cream with Peanut Butter Swirl. It's never too cold for ice cream in our family, especially when it comes to birthdays!